Are you wondering if there are foods you can eat to support lactation and naturally increase your breast milk production? Well, many foods are considered galactagogues, which can help you to make more breast milk. Throughout the world, women in different cultures eat certain milk-making foods right after childbirth and while they're breastfeeding. Some of these foods are full of vitamins and minerals, and others contain chemical properties that may aid in the production of breast milk. Whatever the reason, these breastfeeding superfoods are believed to promote and support a healthy supply of breast milk. Whole Grains: Whole grains are very nutritious for breastfeeding moms. They're also thought to have properties that support the hormones responsible for making breast milk. So, eating whole grains may increase your breast milk supply. The most common grain used to make more breast milk is slow-cooked old fashioned oatmeal. You can also try barley, whole grain brown rice, oatmeal cookies, or other foods made from whole grains. Dark Green Vegetables: Dark leafy green vegetables such as alfalfa, lettuce, kale, spinach, and broccoli are full of nutrients, especially calcium. They also contain phytoestrogens that may have a positive effect on breast milk production. Fennel: Fennel is a plant from the Mediterranean. Fennel seeds add flavor to many different foods, but fennel is also a vegetable that can be cooked or eaten raw. The bulb, stalk, and leaves of the fennel plant are edible, and you can add them to soups, stews, or other fennel recipes. The plant estrogens found in fennel may help nursing mothers make more breast milk. Garlic: Garlic is very nutritious, and it's a healthy addition to most diets. It is also believed to be a galactagogue, helping nursing mothers make more breast milk. Even though garlic has a strong odor that does go into breast milk, it seems that some infants like the taste. And, studies show that garlic-flavored milk may help keep breastfed babies nursing longer. On the other hand, some children may not tolerate garlic very well. If your child shows signs of a food sensitivity after you eat garlic, you may want to try to avoid the garlic for a while. Follow your little one's lead. 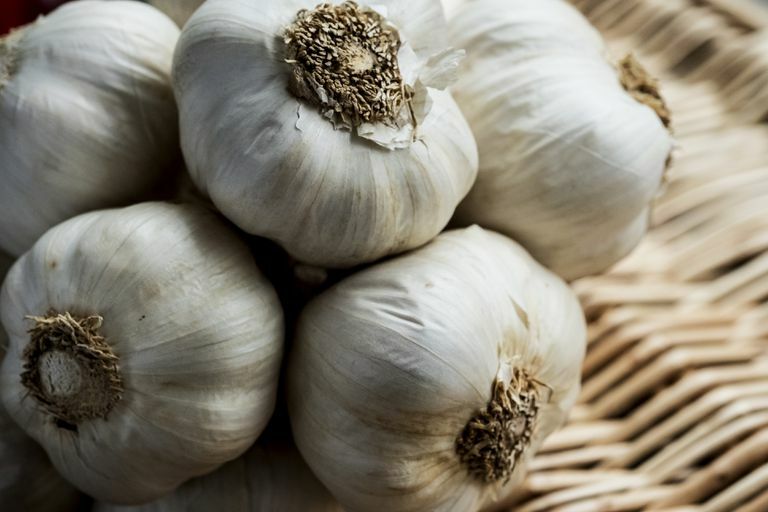 You can add garlic to your diet by using it to flavor many dishes, including vegetables, meats, seafood, pasta, and sauces. Chickpeas: Chickpeas, also called garbanzo beans or Ceci (chi-chi) beans, are a common legume used in Mediterranean and Middle Eastern cooking. Breastfeeding women have been eating chickpeas to make more breast milk since the ancient Egyptian times. Chickpeas are a nutritious food that is high in protein. They also contain plant estrogens that may be responsible for its use as a galactagogue. You can add chickpeas to pasta or salads. Hummus, a tasty spread or dip made from chickpeas, is another way to enjoy this very healthy bean. Sesame Seeds: High in calcium and estrogen-like plant properties, breastfeeding mothers use sesame seeds to make more breast milk. You can eat sesame seeds alone, as an ingredient in the recipes you prepare, as a topping for salads, or in a trail mix combined with other seeds, nuts, and dried fruit. Almonds: Nuts, especially raw almonds are healthy and full of protein and calcium. Many nursing mothers choose to eat almonds or drink almond milk to increase the creaminess, sweetness, and amount of their breast milk. Flaxseed and Flaxseed Oil: Like sesame seeds, flaxseed has phytoestrogens that can influence breast milk production. Flaxseed also contains essential fatty acids. Fresh Ginger Root: Fresh ginger is not only a healthy addition to your diet, but it can also increase breast milk production and help with the let-down reflex. You can easily add fresh, raw ginger to the dishes that you cook. You can also add ginger to your daily routine by drinking ginger ale made with real ginger or by boiling the raw ginger and making tea. While fresh ginger is considered safe, you shouldn't take ginger supplements without consulting your healthcare professional. Brewer's Yeast: Brewer's yeast is a very healthy nutritional supplement that contains B vitamins, iron, protein, chromium, selenium, and other minerals. Breastfeeding mothers use it to Not only can it help you to make more breast milk, but it may also give you more energy, have a positive effect on your mood and get rid of the baby blues. You can find brewer's yeast in tablet or powder form. Nursing Teas: OK, tea is a beverage, not food. But, lactation teas are made from foods and herbs, and they're one of the most common choices for women who wish to boost their milk supply. Nursing tea may contain a single herb or a combination of herbs that work together to support lactation and increase breast milk production. The herbs found in breastfeeding tea include fenugreek, blessed thistle, milk thistle, and fennel. Besides increasing the supply of breast milk, teas are also comforting and relaxing. Plus, they're easy to prepare. Do Lactogenic Foods Really Work? Not all women see results from eating lactation foods, but it certainly couldn't hurt to try them. If you eat a well-balanced, breastfeeding diet, many of these foods may already be a part of it. Since most of these items are healthy and nutritious, adding a few more should be OK. Just keep in mind that, like everything else, you do not want to overdo it. If they seem to be working for you, be sure to monitor the increase in your breast milk supply carefully. Once you reach a point that you feel comfortable with, begin to cut back on how much of the lactogenic foods you're eating. If you continue to increase your milk supply, you could end up with too much breast milk. An overabundant supply of breast milk could lead to an entirely different set of problems such as breast engorgement, plugged milk ducts, and mastitis. Eating fresh versions of these foods that support lactation is safe and even healthy. Of course, just like everything else, don't overdo it. Too much of anything is never a good idea. You should also keep in mind that supplements are not the same as fresh foods. Before taking any supplement versions of these milk boosting foods, talk to your doctor or a lactation consultant. Jacobson, Hilary. Mother FoodRosalind Press. 2004. Whitney, E., Rolfes, S. Understanding Nutrition Edition Fourteenth Edition. Cengage Learning. 2015.